Size: 1-Pack Speckled dice are made of a particularly dense material for a better feel whenrolling. 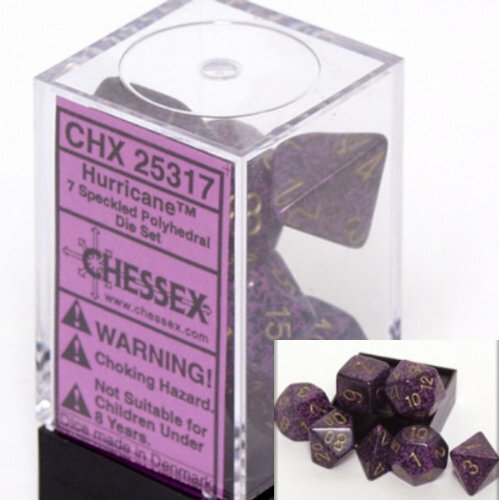 This material also allows for flatter faces and sharper edges.Â Thesedice have beenÂ a popular color range for the past decade.Â These dice are veryeconomical, at a fraction of the cost of others. This set contains one d20,one d12, two d10 (00-90 and 0-9), one d8, one d6, and one d4.